The medical center comprises 36 departments with some 1000 beds, 45 medical units, 9 institutes, 6 laboratories and 30 administrative and maintenance departments. Some of RHCC’s departments are the exclusive providers of comprehensive services for all of northern Israel, including trauma treatment, oncology, and neurosurgery. As an academic hospital, RHCC also maintains vital teaching and research links with the Technion’s Rappaport Faculty of Medicine, providing a dynamic clinical environment for diagnosis, treatment and research. 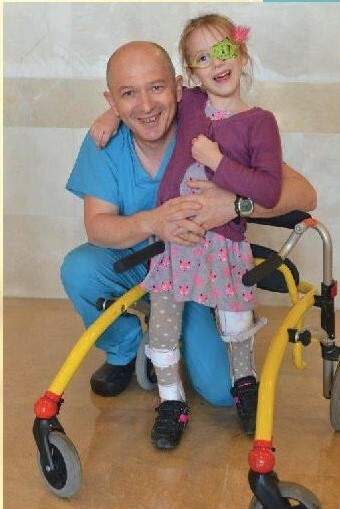 The Ruth Rappaport Children’s Hospital is able to replace tumours with implants that grow with the child. We are keen to purchase equipment for limb sparing surgery to carry out intricate operations on very young patients in the Orthopedic-Oncology unit. For the emotional wellbeing of young patients facing frightening and painful situations, professional Medical Clowns, specially trained in nursing, medicine and child psychology are included as an integral part of our treatment teams. When laughter is the best medicine, our Medical Clowns are literally just what the doctor ordered. 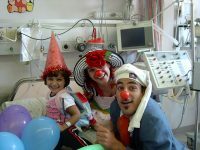 Each of the six Medical Clowns at Rambam Health Care Campus must be funded by the generosity of those who appreciate how important laughter is for healing. It costs £10,000 a year to employ a clown. Your donation will bring a smile to the faces of the sick children and the staff who care for them.